Numerous attempts to solve the Rubik’s cube were not successful? All the instructions on the Internet are written by professionals and for beginners and the solving seems to be very intricate? Do you think that it is impossible to solve this puzzle? Following our step by step instruction, you will not only be able to solve the most popular puzzle in the world without formulas but also to understand how you did it. So, your goal is to solve the Rubik’s Cube. It’s impossible to do this without knowing how it works, what it consists of and how it functions. 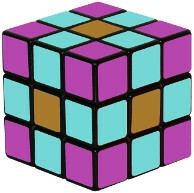 The standard Rubik’s cube 3×3 is a mechanical 3D cube with each face colored in a different color. Central elements they are 6, one for each side. They can rotate around the axis but they never change their position; they are always in the “right” position. In the picture they are colored in brown. Corner elements they are 8, each has 3 different colors. In the picture they are purple. Edges they are 12 with two different colors. They are between the corners-pale blue in the picture. 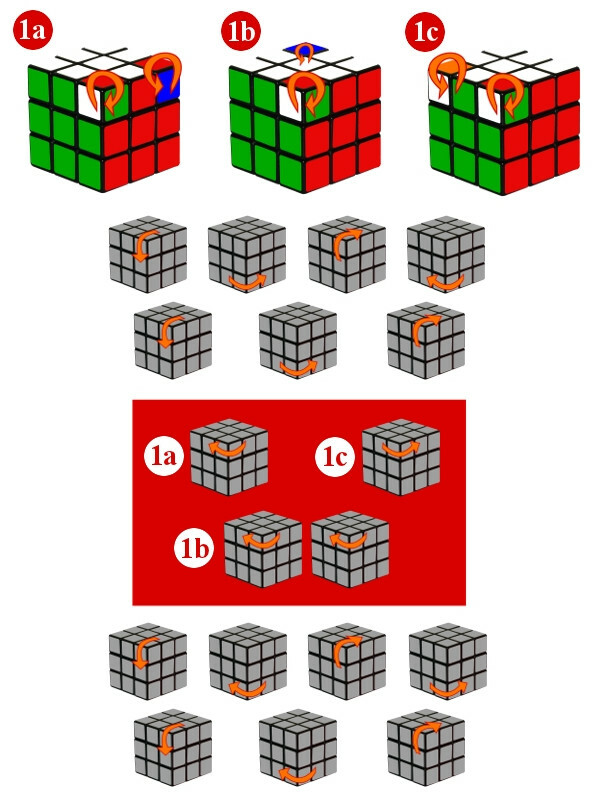 In total, there are 20 moveable elements in the Rubik’s cube (12 edges and 8 corners) and the solution depends directly on the knowledge of how they can change their position. When you rotate one side, we see that the central elements remain in their place, the edges move to the place where the edges should be and the corner takes place in the corner. It means that each element has a certain type, which does not change after the rotation (the edge remains the edge, the center remains the center). Which the Rubik's cube should be? - It is better to take the cube of the latest models, it's better than the previous versions and it is more upgraded. - The right cube must be easily rotated and cut corners well. - Cubes for professionals can be disassembled and customized. How many edges it has? The classic cube consists of 12 two-color side or edge elements (12 edges). How many schemes of the Rubik's cube solving? 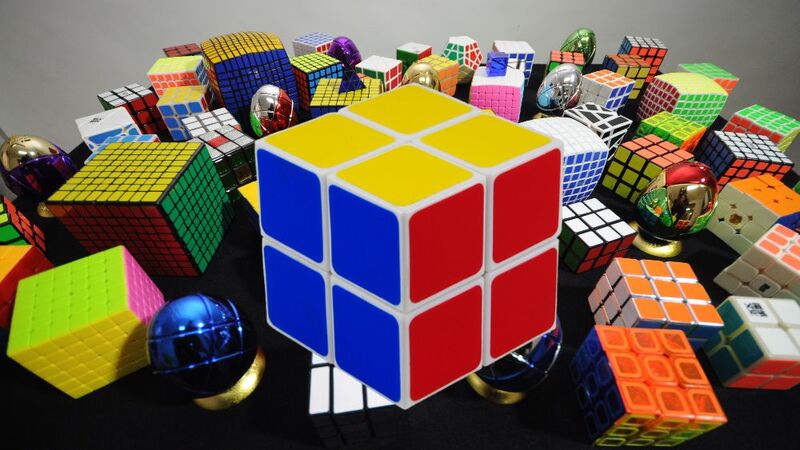 There are many ways to solve a Cube. There are those cubes which allow to solve it with the help of 2 or3 formulas but for a couple of hours. Others can be solved with the help of memorizing hundreds formulas; you can solve the cube in 1 minute or even in 20 seconds. Our goal is to put all the elements in the right places. To determine the direction of rotation and the “right place” of a square, you need to pay all your attention to the central elements because they, as we have said, have a fixed position. For example, the edge which is located between the red and green center is red-green, so you need to focus on the fact that near the green center is located the edge of the same color, near the central red element – red edge. The corner is always tricolor, so you must watch it will be placed between the central elements of the corresponding colors. The first thing you need to do is to choose the color you want to start with. In this example, the main color is yellow, it will be shown in all schemes. Everyone is free to choose the option which she or he likes more and start with it. So, if the upper central element is yellow, then the bottom one will be white (it is practically on the opposite side in all models of the Rubik’s cube). 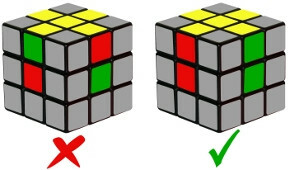 In order to collect the Rubik’s cube 3×3 it’s necessary to start on the top of its face to make the cross – put all the edges of the selected color (in our case yellow) in the appropriate position around the central element. This should be done in a certain order to make the second color of the edge correspond to the nearby central element. 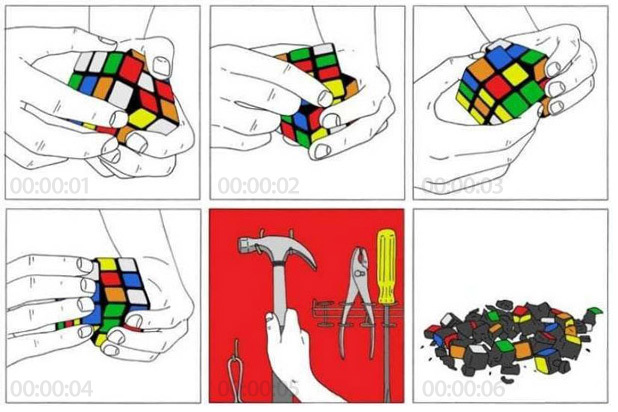 This step is the most difficult to explain to those who don’t know how to solve the Rubik’s cube. 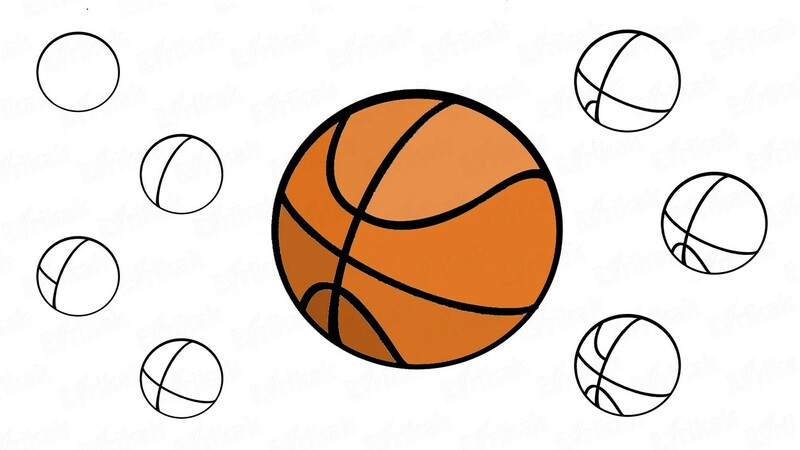 This task is easier to solve on your own and you will certainly do it, after a short practice. The most beginners stop at this step – they solve the cross, then one side – further, unfortunately, few people go further. 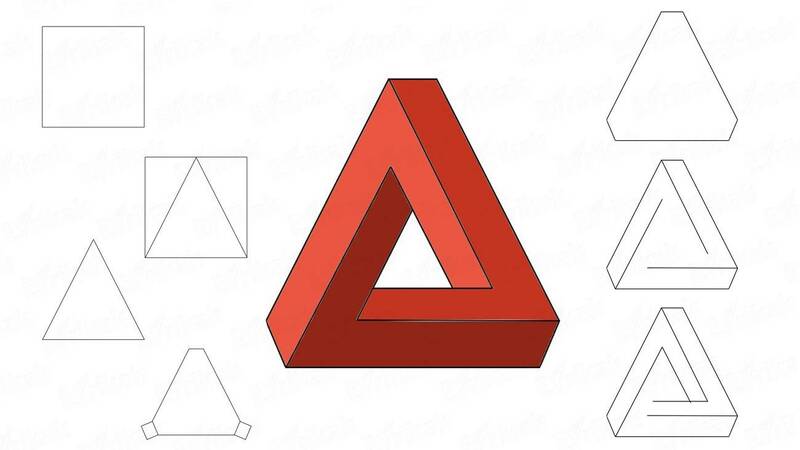 If you solve the cube according to the Evrikak instructions, it’s recommended to solve the first step yourself, not paying attention to the examples below. For those who can not do this, there’s a scheme below of how to make the cross. Remember you will have to repeat this step 4 times – one for each side. Take the Rubik’s cube in your hands and rotate it to make the yellow center at the top (or other selected color and the bottom must be white. Search yellow faces on the bottom flatness. Pay attention to both colors of the edge. If you have found a yellow edge at the bottom, rotate the layer until the edge of the yellow square will take a position under”its place” on the top edge. Note: if the yellow square is on the top layer but it is incorrectly oriented, relative to the nearby center, change its position by placing another element in its place. After that, the edge will be in one of the three positions described above. Using the scheme, put it on the “right” place. Repeat all the steps for each yellow edge and make the cross on the top layer of the Rubik’s cube. If you were able to make the cross, it is necessary to solve the entire top layer, it means to put the corners in place one by one. We can not put them as we want because each corner has a specially designated place for it which determine the colors it consists of. Just like in the previous step, there are several solutions; we will follow them. Remember that you will have to repeat all actions 4 times – one for each corner. Rotate the Rubik’s cube to make the yellow layer be at the top and the white layer – at the bottom. Search a corner with a yellow square in the bottom layer. Notice the 2 other colors on it. 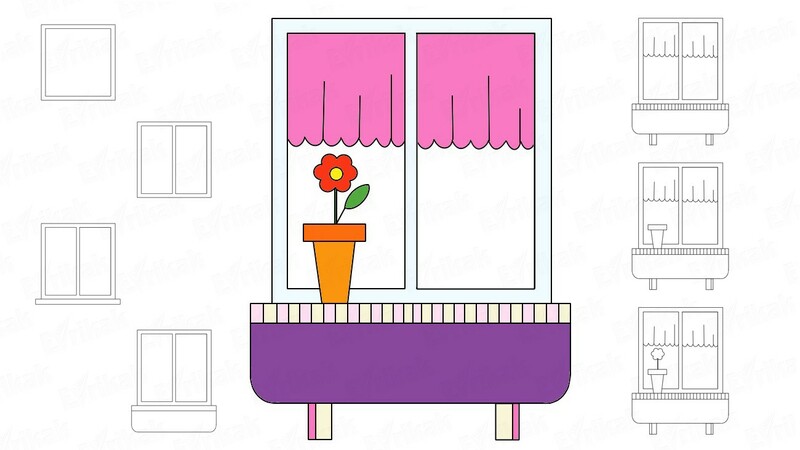 Rotate the bottom layer to make the corner be under ” its” place. Note: if the yellow corner is not in the lower layer of the Rubik’s cube, it means that it is in the upper layer but it’s not in its place. you need to put any corner from the bottom layer up (doing the first solution, for example). So you get a yellow corner in the bottom layer. Repeat for each corner until the top layer is completely solved. We want to solve the second layer of the cube. Remember that the central elements are fixed, so there is no need to swap them and think about how to place them. Remember that the following steps you will have to repeat 4 times – one for each edge. Search the white-free edge on both sides in the top layer. Rotate the top layer until the color of the edge and the center element on the side coincide, forming an inverted T.
Follow one of the solutions below, choosing an example according to the edge location – on the left or on the right. 1) The edge should move to the right from where it is. 2) The edge should move to the left from where it is now. Note: if the top layer does not have an edge element without white color on any side, it means that they are in the middle layer but not in their places. put any other edge from the top layer in its place. In this way, you will get the edge in the upper layer without a white square and will be able to move it in accordance with the instruction. Repeat this step 4 times-one for each edge. So, we have solved the first 2 layers of Rubik’s cube. Now we need to make the 4 edge elements of the upper layer be of a white color, forming a cross. At this stage, we will focus only on the edge elements, not paying attention to the corners. The top face of the cube can have four white edges, or two edges, or no edges. If all four white edges are on the top side, you can skip this step and move on to the next one. If there are two edges, then you need to use one of the following options, according on their location relative to each other: near or opposite. If there is no white square in the top layer, do one of the two above options and you will get 2 white squares in the top layer. After that, do the necessary sequence of actions, according to the situation. So we will make the second cross in such a way. At the previous stage, we made the second cross. At this stage, we will make the sides of the cross coincide in color with the central elements of the corresponding faces. We will focus our attention only on the white edges of the cube, not paying attention to the corners. Rotate the top layer of the Rubik’s cube until the two edges will be of the same color with the center element of the corresponding faces. If only one edge willbe of the same color, continue to rotate. Use one of these examples, according to what place the side edges will be – in a sequential or opposite position relative to each other. So, we have placed the second cross of the Rubik’s cube correctly. We have already put in place all the elements of the Rubik’s cube, except the corner parts of the last layer. The goal of the penultimate step is to place the corners correctly, not paying attention to their orientation. So you should know exactly when the corner took the right position. so the corner is positioned correctly when the surrounding central elements coincide in color with 3 parts of the corner. Consider a few examples where the corners are placed incorrectly and when they take the right position in order to solve the Rubik’s cube. It is possible that all 4 corners will be in their places from the very beginning (feel free to move on to the next step), or only 1 corner is placed correctly, or none of the corners is placed correctly. If only one corner takes “its” place, follow one of the examples below, choosing the one which will place all the elements in their places. If none of the 4 corners takes “its” place, do one of the above examples – you will be able to put one of them in its place in this way. Next, follow the steps according to what you’ve got. Thus, we have solved the Rubik’s cube 3×3, putting the corners in their positions. The last step – rotate the corners of the last layer, we will solve the puzzle completely. At the previous stage, we put all the elements in their places. It only remains to rotate the corners to solve the Rubik’s cube and solve it completely. At this point, there may be two, three, or four misoriented corners left in the last layer. If there are 2 incorrectly oriented corners, follow one of the examples below according to the situation that has occurred. You must read this before you rotate the faces of the cube. It’s very important! This step is not as simple as the others but it’s also much more difficult. Before you begin, you should know a few things. Variant1 has several options, so first you need to understand what is right for you. To solve this step, do the first sequence of actions. After that, take the necessary steps according to the red chart option which you’ve got. Variant 1. The two corners are misoriented. Pay attention that the adjacent corner needs to be rotated clockwise. Variant 2-3. The three corners are misoriented. If 2 corners are not correctly oriented, solve the Rubik’s cube following the first example – you will get only 2 incorrectly oriented corners. Finally, do a sequence of actions according to the situation which you’ve got. Variant 4. All corners are incorrectly oriented. If none of the 4 corners is oriented correctly, follow the first example. Then choose a solution which is suitable for your situation. If you did everything right and followed our instructions, our congratulations! You’ve solved the Rubik’s cube yourself! 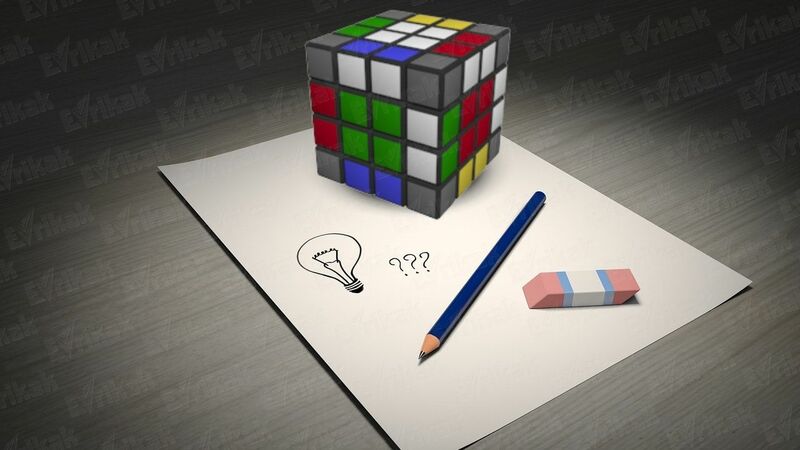 If you did not manage to solve the Rubik’s cube from the first time, don’t be upset and don’t give up trying. There are no easy ways. It will be interesting for you to know that Erno Rubik – the inventor of the world-famous puzzle, spent a month to solve it. Be patient and persistent – you will certainly succeed! Having solved the Rubik’s cube once, do not stop there. Maybe you are the new record holder. Also, you can master the skills of a win-win game of dominoes, chess secrets and other logic games. You can become the fastest. The current record is 5.5 seconds. 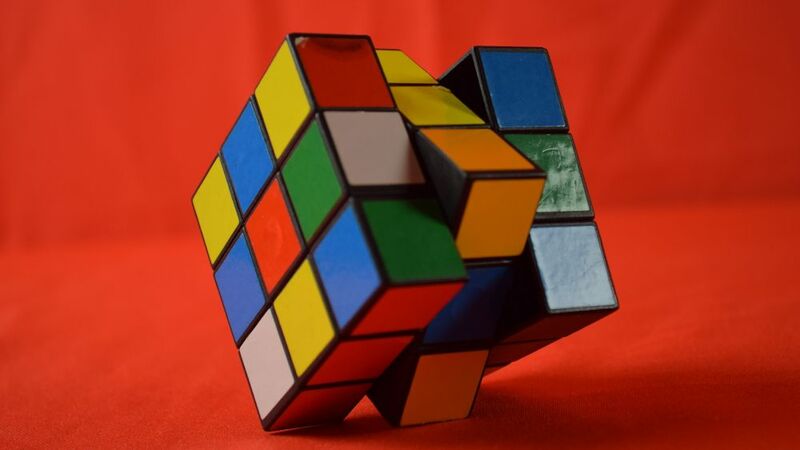 People who are engaged in high-speed solving are called speedcubers. Perhaps you want to be the most original? Solve the Rubik’s cube with your eyes closed, with the help of your legs, etc. There are such records and you can beat them. 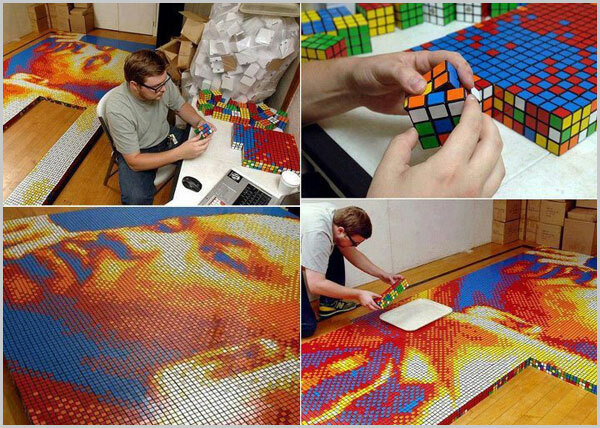 And the most creative and inventive draw with the help of a Rubik’s cube and, by the way, create the real masterpieces of incredible beauty. We hope we’ve inspired you and helped you to understand how to solve a Rubik’s cube. If you are interested in games and puzzles, perhaps it will be interesting for you you will to learn the secrets of the game of dominoes or chess rules. These activities are not only interesting, they have a positive effect on your memory and effectively contribute to the development of mental abilities. It’s a good way for you and your friends to have a good time. What is the bang in the Rubik's cube solving? It's a simple algorithm that helps to set the corner cubes into their places. Among speedcubers it is called "Bang-Bang". It looks like this: R U R ' U’. What can be a home lubricant for a Rubik's cube? You can lubricate the plastic parts of the cube for the most comfortable solving with the silicone lubricant. You can buy it at almost any store of electronic components. It is necessary to pay attention to its consistency. It can be liquid, dense or very dense. The mixture of options 1 and 2 will be good for us, in extreme cases, option 2. If the lubricant is very fluid, its sides will start to adhere to each other too much. The dense one takes the speed of rotation. If you mix two types of lubricant, it will e an optimal variant. 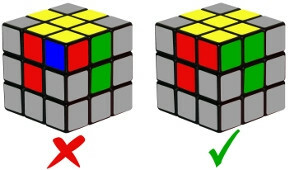 Many people ask the question: "How to solve the Rubik's cube, if I disassembled it and I can't solve it back again?". Most often this happens on the last layer. You may not be following the algorithms correctly. But if you follow the schemes, it must be solved. 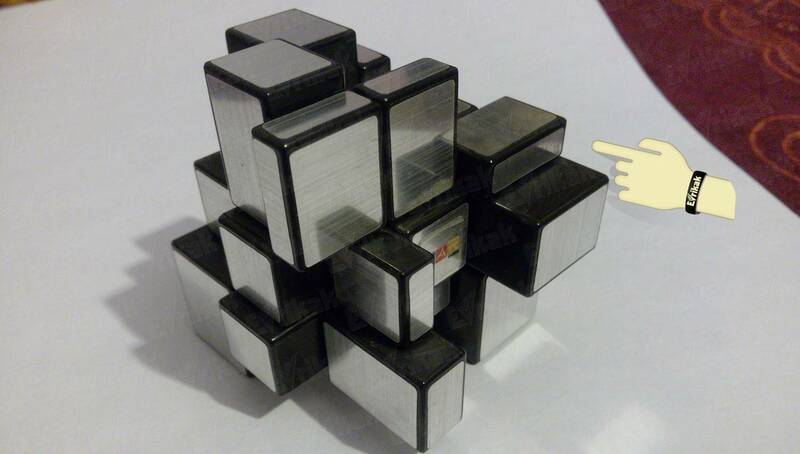 If not, the problem may be the following-Chinese manufacturers make cubes of different quality - from professional to crumbling ones at the first rotation. If the cube has crumbled, it must be solved correctly. Use a flat screwdriver or knife for the cube with the two solved layers, lift the lid of the central cube of the third layer, remove it, Unscrew the screw with the help of a small screwdriver (do not lose the spring, put on the screw). Carefully pull out the corner and side cubes of the third layer and paste them correctly color to color. At the end, insert and fasten the previously unscrewed central cube (do not tighten). Rotate the third layer. If it rotates tightly, loosen the screw, if too effortlessly - tighten. All the faces must be rotated with the same effort. After that, close the lid of the central cube.